Why Should (And How To) You Keep Your Hiking Boots Dry? Why Should You Keep Your Hiking Boots Dry? and How to Waterproof Your Hiking Boots? Whenever the topic "Hiking" comes up, the first thing that clicks most people’s mind is waterproof/water resistant boots. It has been so from the days of old. But let’s put things straight here. Are waterproof and water resistant boots truly waterproof or water resistant? What do these two terms mean? Are they the same thing? Why Should You Keep Your Hiking Boots Dry? 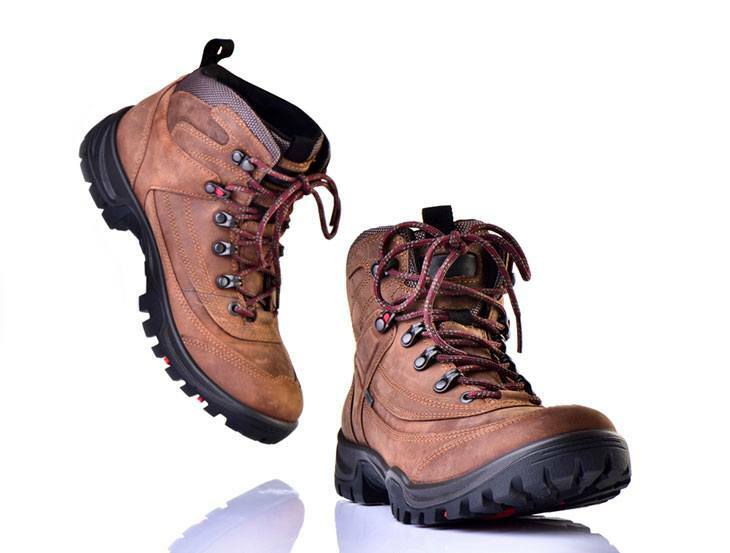 Waterproof hiking boots – these types of boots are mainly constructed of rubber, plastic, or non-porous materials. You could wear these in snow or walk in shallow water and still maintaining dry feet. Water resistant boots – they are made of materials that are known to repel water such as canvas and leather. These boots will allow you to walk in light showers and snow without your feet getting wet but only for a short time. Reality check: Most hiking boots fall into the second category (water resistant) although they are marketed as totally waterproof. Worth pointing out is that water-resistant boots are not waterproof in any way whatsoever. Simply put, waterproof in hiking boots is a misleading term and can never guarantee dry and warm feet especially if you’ll be walking in them for long periods in sleet, rain, snow, or water. Another reason why your hiking boots might not be able to keep your feet cool and dry is that they tend to leak through the seams. Is There a Way to Keep Your Feet Warm and Dry? Sure! Although hiking boots are not fully waterproof, there are a few things that you could to give them some degree of waterproof function. We’ll come to that in a moment. Wet conditions (sleet, snow, water) are the major causes of depreciation in hiking boots. If you are fond of dumping your wet boots away till the next hiking adventure, the water erodes the basic waterproofing membrane on the shoes leading to increased leaks even in the slightest showers. Continued use of the boots in wet conditions leads to weakened seams. Eventually, the boots may rip off. This might be worse in case it happens during a hike. Keeping your hiking boots dry means that the seams stay strong and the waterproof membrane stays intact. It also thwarts unnecessary expense on outdoor gear. Wet boots could lead to bacterial buildup. When your feet stay in soaked boots for a prolonged time, the skin starts absorbing the water. This could lead to wrinkles and blisters which might result in deep, painful wrinkles. According to the Pedorthic Association of Canada, these injuries may limit your mobility. If no action is taken, prolonged untreated injuries may lead to other dire issues such as ulcers over time. 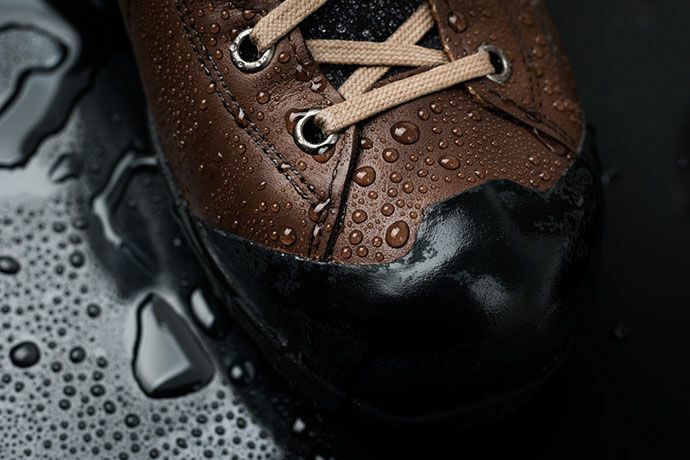 Hiking boots feature a Durable Water Repellent finish from the factory. Usually, they don’t require reproofing right off the bat. You’ll know that it’s time for reproofing when water stops foaming beads on the surface. This means that it is penetrating. Do know that different construction materials call for different types of treatment. So, it’s crucial to determine the type of boot before dashing to the store near you for the treatment. Suede – As opposed to Nubuck which is derived from the top-grain of the leather, the suede is derived from the inner side. Gore Tex - it’s a synthetic waterproof membrane used to design outdoor items. It does not require any treatment rather than wiping it dry. After identifying the appropriate treatment for your hiking boots, you are ready to embark on the process. Of course, you want to apply waterproofing waxes and sprays on well-cleaned boots. In fact, it’s important that you keep your boots clean and dry immediately after every hike. Doing this ensures that the waterproofing membrane offers resistance for some time before disintegrating. When re-waterproofing, this is the time to give your boots a deep cleaning. You might want to remove the laces. Using a bristle brush also helps in removing any stuck dirt that may hinder the penetration of the treatment. The procedure for applying the treatment varies with the type of waterproofing agent being used. It’s paramount that you read and follow the manufacturer’s guideline on the correct procedure. Whatever the type of treatment, the ideal time to apply the waterproofing treatment is when the boots are damp. If they are dry, the best idea is to soak them in water for some hours. For spray waterproof treatment, direct the spray from approximately 6’’ away. You might want to apply a few coats depending on the manufacturer. Importantly, be vigilant especially along the seams and on creases. Perforations tend to form in these parts first. After applying the waterproofing treatment, the next thing is to dry the boots. Unfortunately, most manufacturers advise you to dry your boots at normal temperatures and without the use of a direct source of heat such as sun or fire. A good idea is to let them dry naturally. You could also stuff newspapers. The newspapers absorb the water from the leather thereby speeding the entire process. However, you’ll need to change the papers as soon as they become soggy. 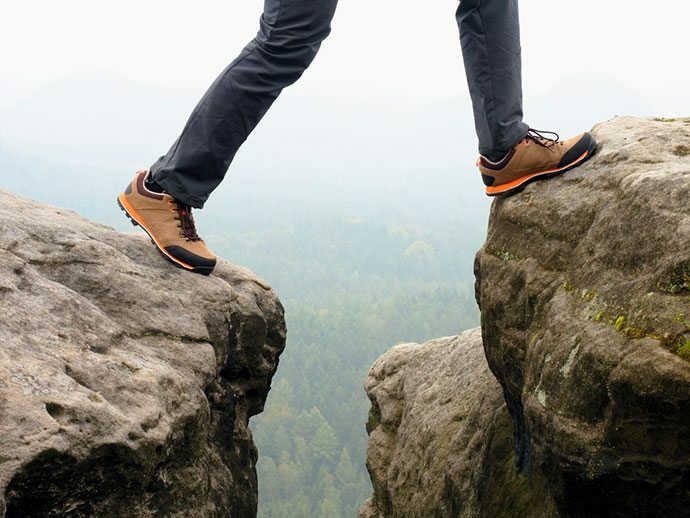 You must be wondering, "Why Is It Not Advisable to Use Direct Heat to Dry Your Hiking Boots?’" Direct heat hardens the outer layer and may lead to cracks. Keeping your hiking boots clean and waterproofed boosts its mileage. This means that you get good value for every cent used on the boots. The inside part needs to be kept clean as well. Salt deposits from your sweaty feet may lead impact on the usefulness of the waterproofing membrane. Lastly, it’s advisable to store the boots in well-ventilated areas.